The FDA on February 26, 2009 issued a News Release announcing that the highest warning, a black box was required because of a link between Metoclopramide and tardive dyskinesia(involuntary movements of parts of the body, which may last indefinitely). Tardive dyskinesia is a terrible neurologic disease characterized by repetitive, involuntary, purposeless movements such as grimacing, lip smacking, eye blinking or rapid leg and arm movements. It can be irreversible though symptoms may lessen or resolve after discontinuing drug. 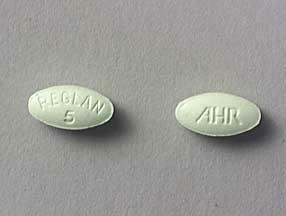 The makers of this drug had long played a dangerous game of promoting Reglan for use as a long term therapy for gastrointestinal complaints including GERD (Gastroesophageal Reflux Disease) despite awareness that the drug had not been approved for use beyond 12 weeks. – That the longer Reglan was used, the greater the risk. – Almost half the patients taking Reglan were using it longer than 12 weeks. Until forced by the FDA the companies did not warn doctors that the drug was unreasonably dangerous for use more than 12 weeks. If you or a loved one used Reglan, and suffered from any of the injuries mentioned or other side effects associated with this product, you may have a claim.